Linux Mint 18.2 “Sonya” MATE released! The team is proud to announce the release of Linux Mint 18.2 “Sonya” MATE Edition. “What’s new in Linux Mint 18.2 MATE“. Previous Previous post: Linux Mint 18.2 “Sonya” Cinnamon released! Next Next post: Linux Mint 18.2 “Sonya” Xfce released! With these new ISOs I will hand out a disc with LinuxMint MATE specific videos from the XPtoLinux series from http://thefrugalcomputerguy.com/ for Linux newcomers. Hello. I am excited about the formal release of 18.2. When will it be showing up my 18.2 Mate Beta Update Manager? Always fun to run Mint. Thank you all so much. 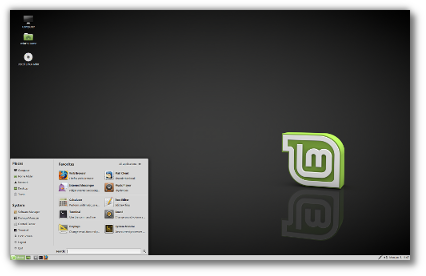 Thank you as always, Linux Mint rocks! One question: I see that RAM requirements have doubled from what they were for 18.1, if I have an older 32-bit computer with 1 GB of RAM (maximum possible) should I not even try to upgrade from 18.1 to 18.2? Edit by Clem: If you can run 18.1 without issues, you’ll be fine with 18.2. The requirements were bumped in the latest announcements. Although things may work with less than 1GB RAM, we’re getting far from comfortable below that and it doesn’t feel right to commit to it. Already using it BrucesWay to create New documentation etc for a 16GB USB3key. Is it my imagination or is it even faster ? “32-bit relocation outside of kernel. Every time when trying to boot the 64bit Mate version from USB, Thinkpad W540. Any ideas? may I ask where you posted your tut, so we all can learn from “the Bruce s Way” 🙂 ? Edit by Clem: Please use pastebin. Successful upgrade to 18.2 Sonya from mintUpdate !!! I’m having a problem with the panel(s) in Mate 18.2 both with a clean install and an upgrade install. The problem is that every time I reboot the panel icons have to be reloaded as I get several error messages. It happened with the BETA too but I thought it would be fixed. Edit by Clem: Was that reported during the BETA? How do you reproduce the issue? Is it happening consistently? 2- the color/background/emblem selector in preferences is not working. after the script stops, it starts again, over and over. @Bill S: looks like the panel is transparent? Do you use a compositing window manager, by any chance? Just updated, but the Colors tab in the desktop/theme customization dialog is missing…can we not change desktop theme colors to our preference anymore…? It is the only thing left that is keeping me (and some others) from using LMDE. @ Monsta – Yes thanks, I use Compiz why? @ Monsta – it wasn’t compiz, but you gave me an idea. and apparently, the panel in 18.2 doesn’t like that. When I just go with a background of a solid color – bingo! No more errors. Thanks Monsta. @Peter E: not yet. If we fix it, we’ll comment there. @Darkstrike: we disabled that tab because color customization simply doesn’t work anymore in GTK+3. Booting 18.2 MATE from USB I have a strange issue. I know default theme is supposed to be Mint-X but the Live USB desktop shows what I think is Adwaita icons. When I select Appearances>Theme in the Control Center, “Custom” is highlighted. When I try to select Mint-X or any other theme the colors change, Adwaita icons remain and the selected theme is not highlighted. I’ll try on another PC and if that fails I’ll re-download the .ISO from a different mirror. My sh256sum checked out with this download from kernel.org. Anyone else see this problem from the live USB? Update to #26 above: Re-downloaded 18.2 MATE 64 bit (from heanet.ie this time) and ran the live USB on the same laptop. Default Mint-X theme is now correct but when I select Appearances>Theme in Control Panel “Custom” remains highlighted. If I select any other theme it is applied to the system but the selected theme is not highlighted, only “Custom”. Normally if I select another theme it is highlighted & remains highlighted even if I close and reopen Appearances. Strange behavior I’ve never seen before with Mint. It might work correctly if I do a full install and it’s not a deal breaker as everything else seems to work fine. Just a bit annoying, that’s all. Anyone else notice this? Occasionally there’s a third applet that doesn’t load. There’s a reload option in the dialog box so it’s a small problem. The panel background is a solid color, and transparent. My system is an upgrade from 18.1 and I didn’t install LightDM. Edit by Clem: Hi Mike, proceed by elimination. This is now a GTK3 build of MATE. Switch back to the default themes and icon themes. Switch back also to Marco with composition for the WM. See if the issues still occur, and if they don’t try to switch things back again until they do so you can identify the cause. Panel weather applet icons are now broken/missing (now displaying the “missing image” icon with a red, crossed-out circle). Weather applet radar image continues to remain broken as well (since last year). Using a background .png, the panel’s digital clock now has a new, separately-defined background color (from who knows where…???) instead of the more appropriate/pleasing .png background as previously. Panel text (as defined in my custom theme[s]) is now wrong – some mid-gradient gray (again – from who knows where…???) which makes it difficult/impossible to read (as ALL text – throughout a system – needs to remain of a high contrast to be easily readable!). A number of my favorite GTK2/3 AND window border themes are now broken, displaying buttons in the mintMenu improperly, as well as strange window border artifacts. The continuous string of breakages due to upstream GTK3 changes is frustrating enough to make one want to walk away from Linux, for good. Edit by Clem: Shouldn’t you put an & sign at the end of xed /home/phcouka/.sauvegardes/raid.log? Thanks again, and keep the good job. Well – now after a few boots, the weather applet icon is displaying normally… maybe only a single missing icon or two? The improvements to the Update Manager are very nice. As well, the mintMenu appears to be loading much faster the first time opening after boot – excellent (if not my imagination…?). The panel brightness applet appears to not be remembering the last setting between boots (seems to default to ~50%). Yes, but with zero transparency there is no error, with even the slightest transparency of the panel (even solid color) the applets crash when trying to load. Transparency seems to be the bug. It’s reproducible on Mate 18.2 x64 live-iso, on any hardware (intel, AMD); so it surely is not my setup. After running the beta edition I opt’d to do a clean install. As usual it was uneventful. no glitches, no issues, out of the box fully functional. A big round of applause for the Linux Mint Team on another job well done. I did not report it during Beta as I thought it was maybe just me. If you run Mate & compiz and make the panel transparent, then reboot, you get the error. I just unloaded compiz and went with metacity and made the panel transparent and I got the same error after logging out and back in. So it would seem that it is reproducible if you make the panel transparent even just a little transparent. It happens every time on my Quad core, i7 64 bit desktop with Nvidia Graphics and 16 gigs memory. It does not happen when the panel is a solid color. I think I found the problem on my end. I unloaded every program I was loading like cairo dock and conky and went with nothing at all and the error did not happen. So I loaded the programs one at a time and found the one (on my system) that was causing the errors when the panel was transparent. It is fusion-icon-gtk3-0.2 which I have been using since Mint Mate 17 without a problem. But when I do not load it, I have no more errors even if I make the panel transparent with compiz loaded. So I guess I’ll have to stop using fusion-icon. 🙁 Sorry, guess it was me after all. Re: the applet loading problem described in post 29. The issue only occurs when I change the panel background from None to Solid Color and reboot. It does not recur on subsequent reboots. Solid Color settings do not matter. And, I’m using a stock theme (Aqua) and Gnome-Brave icons. I believe I had repeated issues before because I changed settings several times after the upgrade to find a combination that satisfied my purposes. 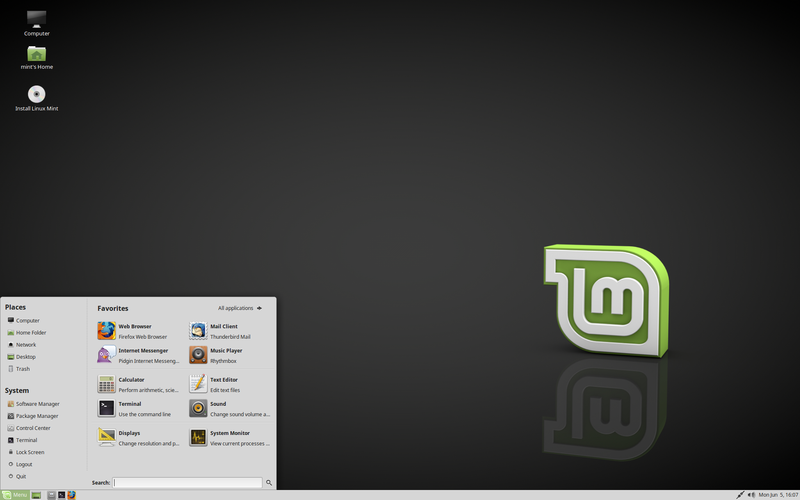 this is by far the best distro that linux mint has ever produced!! Love it !!! Another (old, minor) annoyance to note; I have a second, auto-hiding panel set up as an application launcher at the top of my screen. More often than not, after clicking on an icon to open an app, the panel fails to auto-hide – requiring “waving” the cursor over the un-hidden panel area for it to return to the hidden position. This is an old “bug”, going back a few versions IIRC. Seems like it might be even a little worse this time around. Thanks for the quick fix on Mint-Y-theme panel deal-e-o ! Also confirm the caja 1.18 eject button not working. And can we have a new caja window or tab open with inserted/mounted media like before 18.2? Many icons for custom launchers wouldn’t load, but reselecting them makes them come back OK. It features a newer version and is bug-free. I have same problem with panle load in 18.2 MATE. First I upgraded from 18.1 64 bits to 18.2. Menu panel gave lot of mistakes as can’t load the clock, wathers, etc. Then I performed clean install. The problem was same. Doesn’t matter if you use transperancy 0 ot 100. It’s a bug. Otherwise the new 18.2 MATE is very nice and lighter than 18.1. Congrats! There’s a bug in Caja in 18.2. I can’t change the wallpaper as a colour background because the option disappears. and when I come back to choose some textures, they also disappear. I’ve just installed 18.2 Mate on a desktop I recently acquired, to my surprise the 64bit ISO seems to no longer have 32bit support out of the box. Is any else having a strange bug with Cairo (GLX) Dock? I use Compiz and Cairo Dock (since Mint 13) without any issues. Now, it seems every few minutes Cairo Dock restarts and a second dock appears over the first main dock. You have to close it manually and all is fine until… POP..another dock starts up again. Why is Cairo dock creating a new main dock suddenly? In the beta I reported a bug in panel transparency. I also reported it on github and they quickly fixed it. however now that I install this version I happen to notice that the mint menu transparency option is gone. I am reporting it on github. I really hope it will be quickly fixed and the fix will come as a common update.